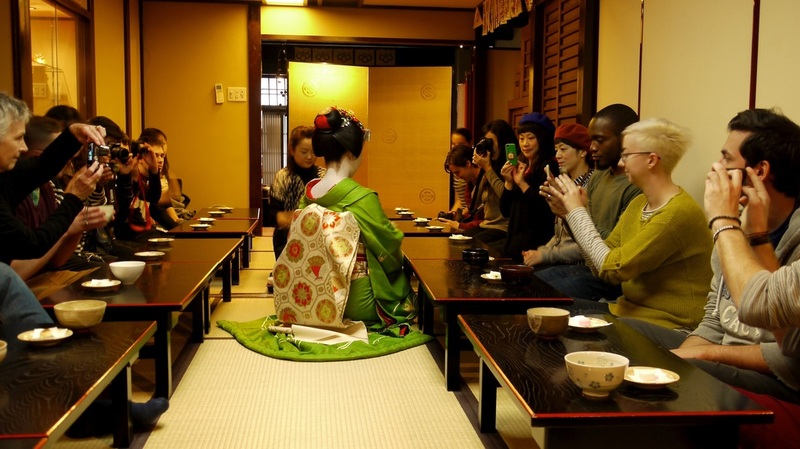 Kyoto is old Japan preserved for today's travelers to get a beautiful glimpse of the past. 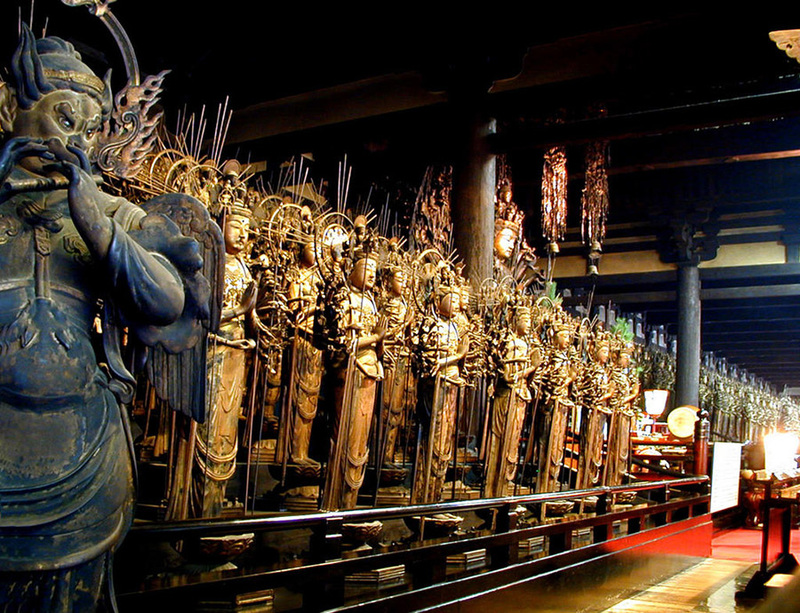 In fact, the cultural treasures that abound in Kyoto insured that it was NOT bombed during World War II. 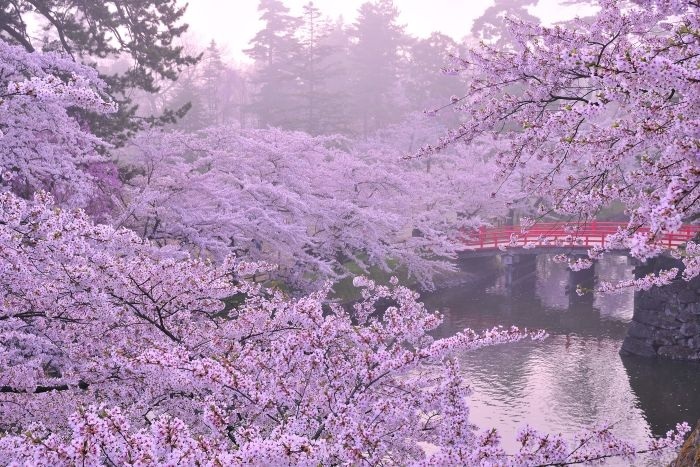 The city abounds with shrines, temples, markets, tea houses, museums to the early days of geisha dancers, and a remarkable display of nature at its most beautiful. 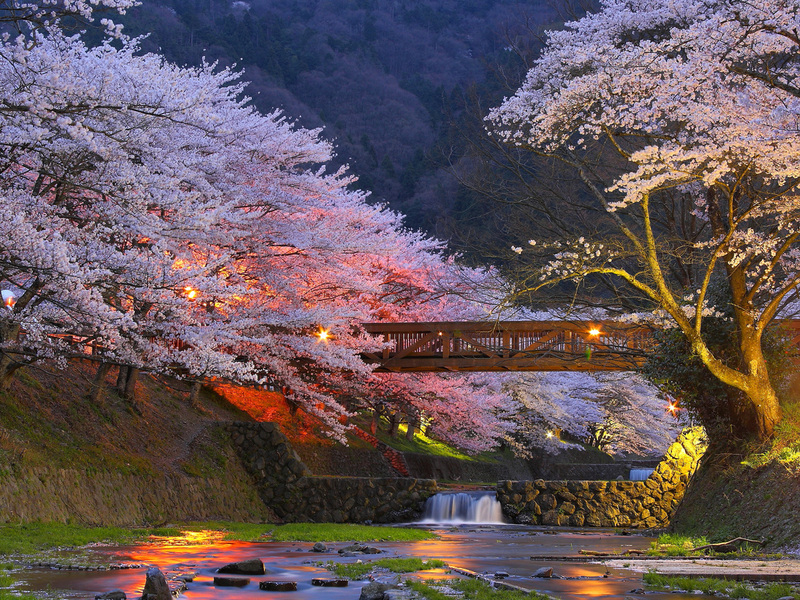 This week we will look at only a few of the wonders of Kyoto. 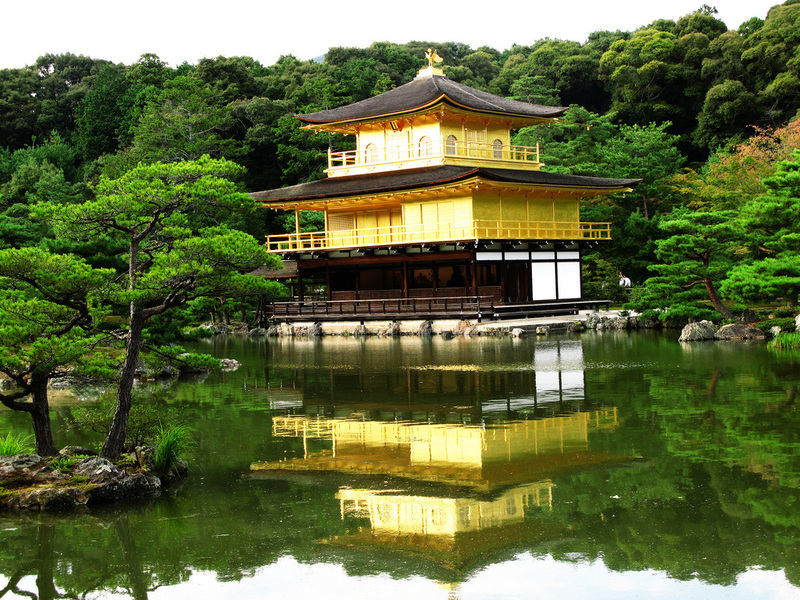 DAY 1: The Golden Pavilion -Kinkakuji was built in 1393 as a retirement villa for a Shogun (big time ruler!). He intended to cover the exterior with gold, but only managed to coat the ceiling of the third floor with gold leaf before his death. After his death, his son converted the building into a Zen temple. Kinkakuji burned down several times during wars and was rebuilt each time. 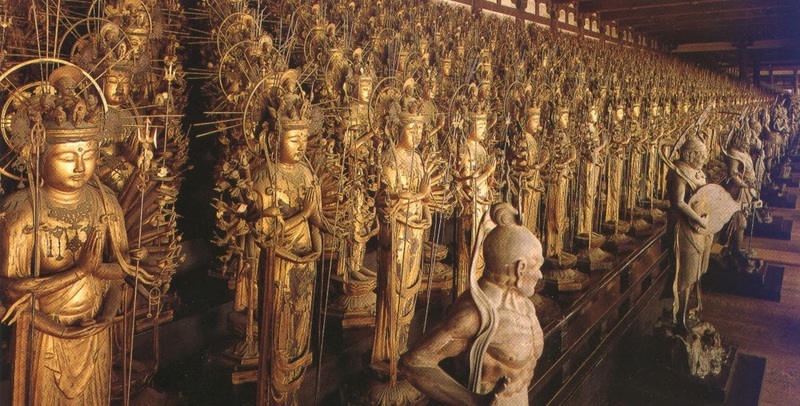 In 1950, the Golden Pavilion burned again, this time by a fanatical monk. The present temple structure dates from 1955, which was rebuilt true to the original except for a significant enhancement: both upper stories are covered in gold leaf, in accordance with the original Shogun's intentions. In 1987, the temple was re-covered in gold leaf five times thicker than the original coating! The pond surround the Golden Pavilion magically reflects the building, making it even more beautiful for visitors. As you can see from the video, the Japanese cherish the beauty of nature, setting their most beautiful buildings in its midst. DAY 2: 1000 Kannons - Sanjusangendo is the popular name for a temple in eastern Kyoto which is famous for its 1001 statues of Kannon, the goddess of mercy. The temple was founded in 1164 and rebuilt a century later after the original structure had been destroyed in a fire. 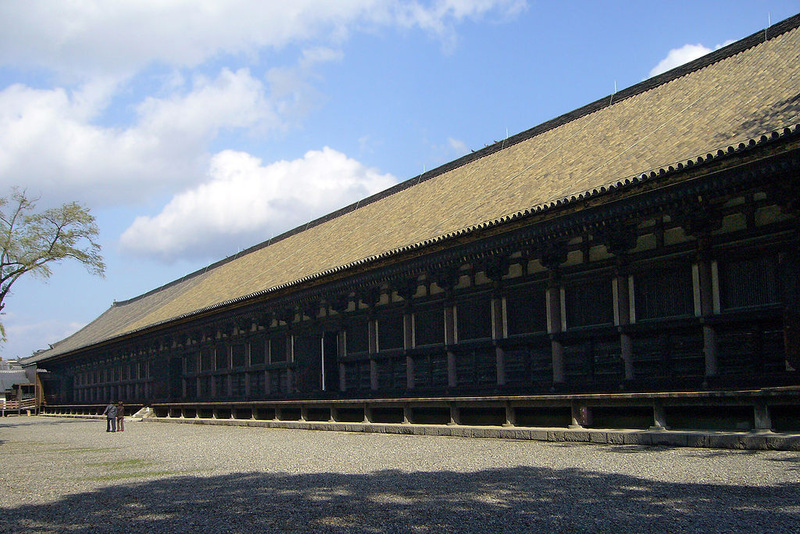 The temple hall is with a length of 400 feet is Japan's longest wooden structure. 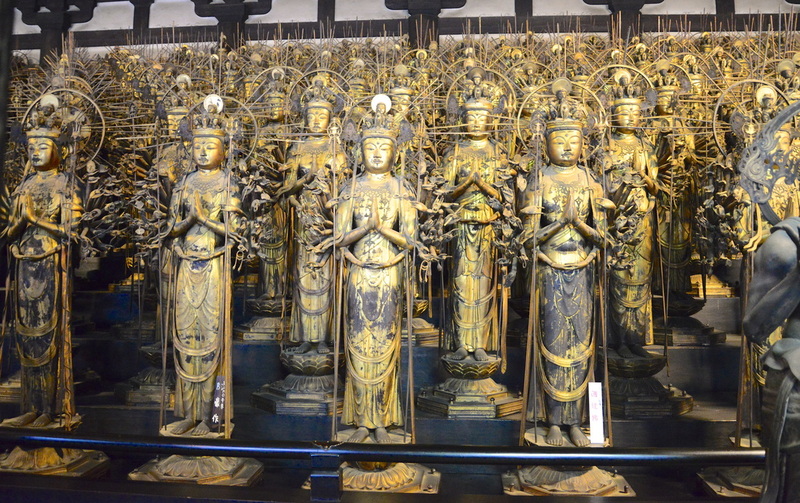 In the center of the main hall sits a large, wooden statue of a 1000-armed Kannon (Senju Kannon) that is flanked on each side by 500 statues of human sized 1000-armed Kannon standing in ten rows. Together they make for an awesome sight. DAY 3 - The Torii Gates of Fushimi Inari: With seemingly endless arches of red torii (shrine gates), the Torii Gates of Fushimi Inari spread across a thickly wooded mountain. This vast shrine complex is a world unto its own. 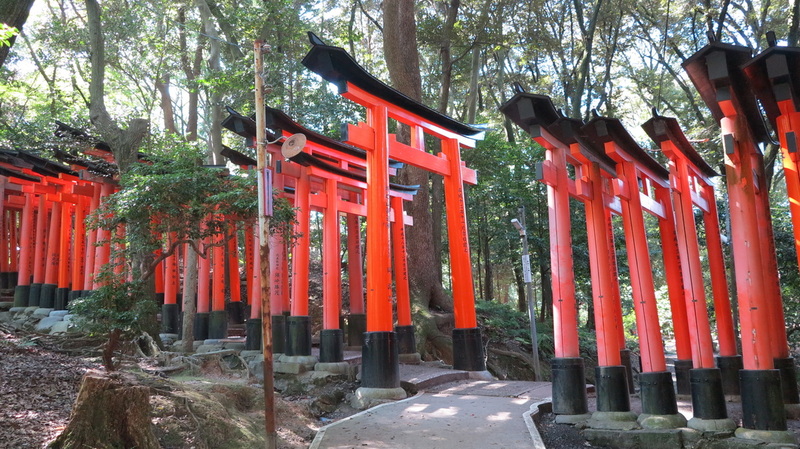 It is, quite simply, one of the most impressive and memorable sights in all of Kyoto.The entire complex, consisting of five shrines, sprawling across wooded slopes. The pathway wanders up the mountain. 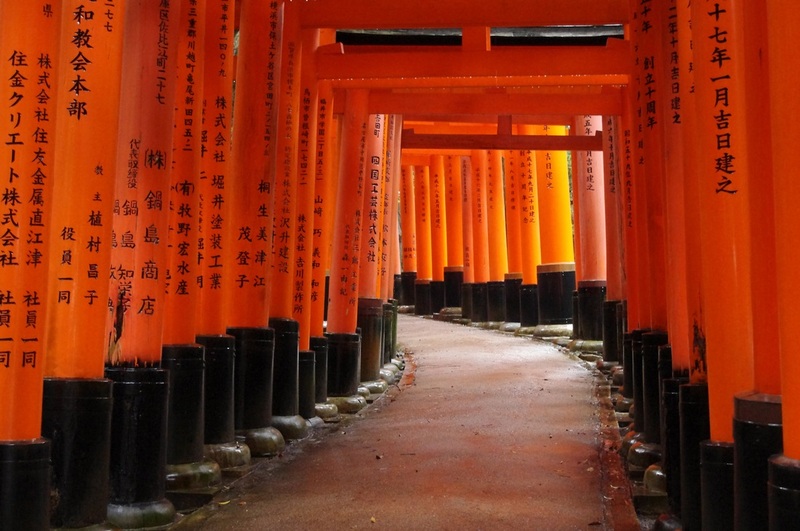 Fushimi Inari was dedicated to the gods of rice and sake by the Hata family in the 8th century. As the role of agriculture diminished, deities were enrolled to ensure prosperity in business. 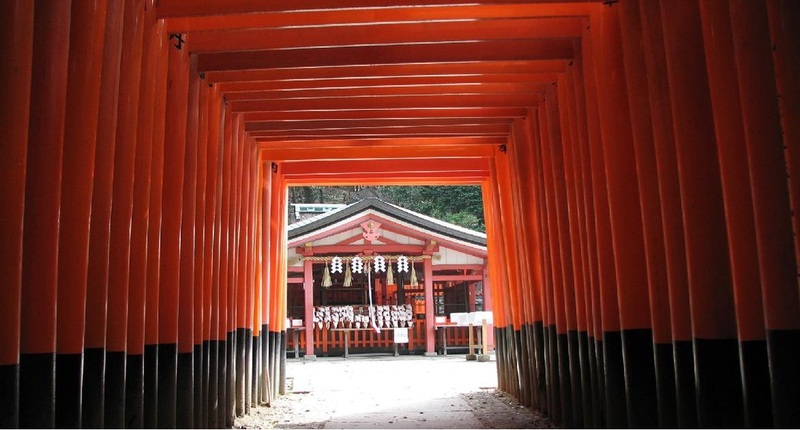 Nowadays, the shrine is one of Japan’s most popular, and is the head shrine for some 40,000 Inari shrines scattered the length and breadth of the country. 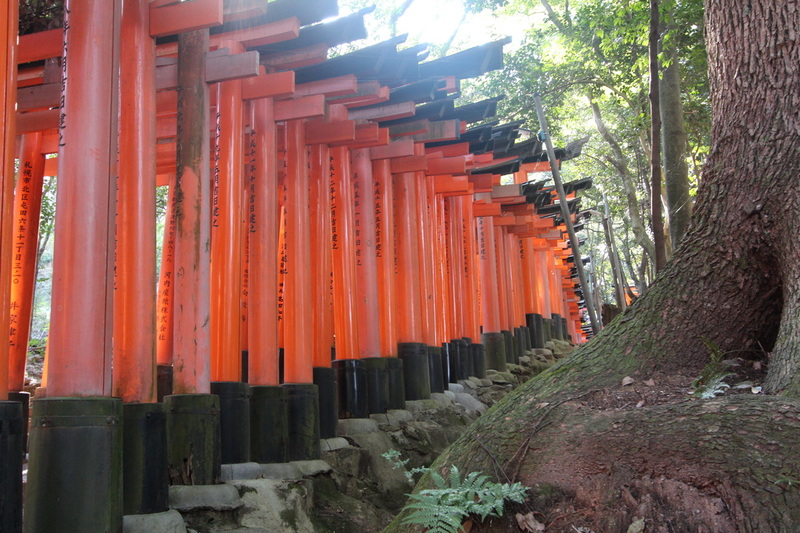 The Japanese characters on each torii indicate the business that many, many years ago paid for their torii. As you explore the shrine, you will come across hundreds of stone foxes. 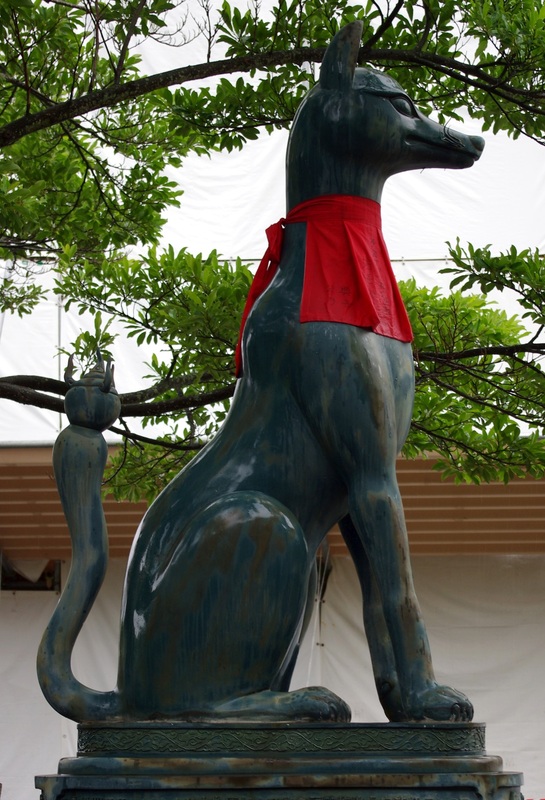 The fox is considered the messenger of Inari, the god of cereals, and the stone foxes, too, are often referred to as Inari. The key often seen in the fox’s mouth is for the rice granary. 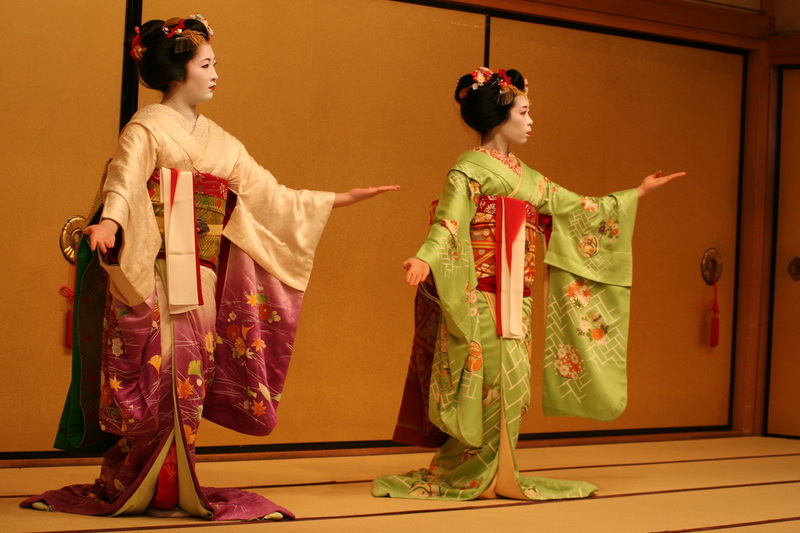 Unlike Samurai, Geisha are still alive with their white-painted faces, traditional Japanese hairstyles and fabulous kimonos. 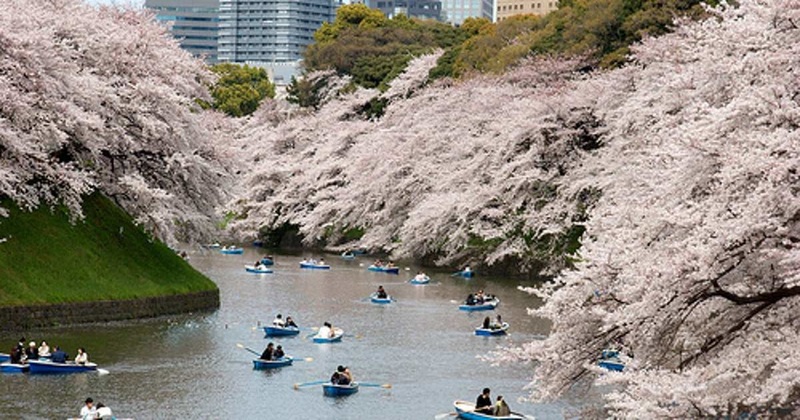 If you have a chance to meet one, it will definitely be the highlight of your trip to Japan. So where does one meet them? That’s the problem. 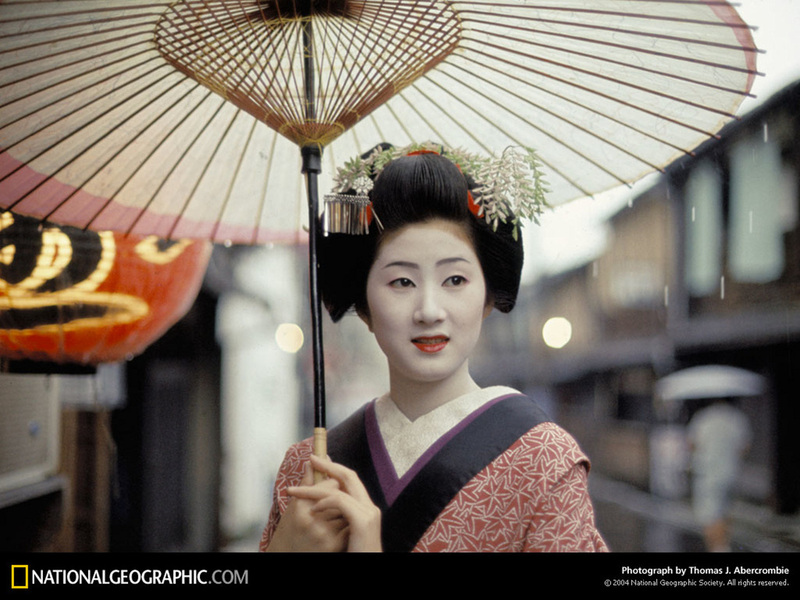 About the only place you can see a real Geisha is in Kyoto. DAY 5: SAKURA...Cherry Blossoms of Kyoto - Kyoto is a very old city that served as the home of the court of Japan for about 900 years, until the capital was moved to Tokyo, only some 150 years ago. The city is bejeweled with many shrines and temples, many of them hundreds of years old, where you will find truly ancient cherry trees, perhaps dreaming of long gone days of Imperial splendor when cherry blossom viewing was a pastime restricted to the nobility.Fortunately, the city and its cherry trees escaped the destruction of World War II, and so today you will see an unsurpassed variety of colors, shades, sizes, and shapes of blossom. 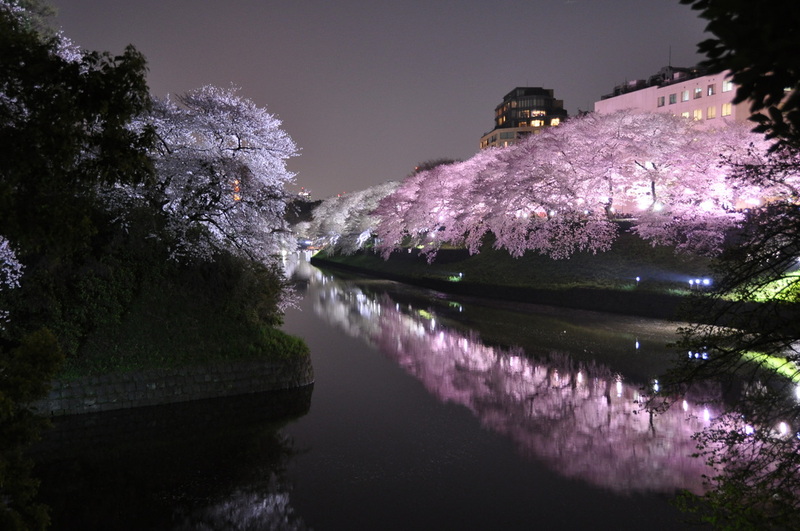 You can catch sight of cherry blossoms everywhere, in the avenues, the school playgrounds, the banks of the rivers, and parks. They even light them up at night! Feast your senses. 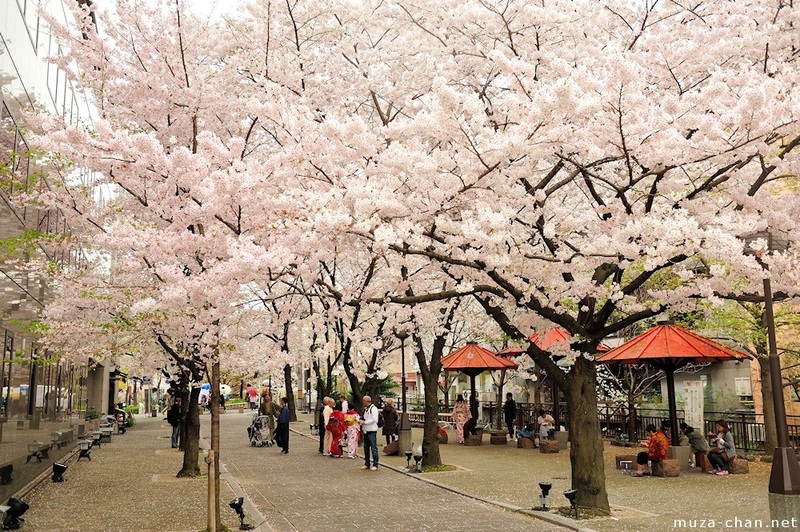 The cherry blossoms are so beautiful they even have their own festival --SAKURA!